We are here to serve you. Our Customer Care Line was established to answer questions and concerns. 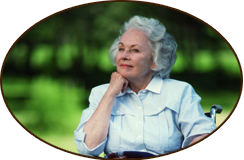 After visiting West Assisted Living it's no longer a mystery why seniors continue to choose them for their nursing care needs. At West Assisted Living we strive everyday to build a hedge of care around our patients. Click here to learn more about our caring staff. At West Assisted Living we have designed our homes to offer the independence of a residential setting, plus the security that comes from knowing help is there when needed.